This is a Too Much Information Tag and I was tagged by Chioma of THEREALCILVERLY. So I'll be sharing 20 random facts about me. 2. I kinna have a really weird crush on Sheldon Cooper of the Big Bang Theory. I'm 'alarmed' at myself that I actually like that annoying guy but it is what it is, I just do. 3. I'm a sucker for cute babies. Well, who isn't. I can walk up to a straight-faced looking parent and beeggg to carry or just hold your cute baby. I can't wait to start popping out my very own cute babies! 5. I don't smoke or drink. I can't drink alcohol to save my life. 6. I've got a sleeping problem. If I take an afternoon nap, sleeping at night becomes 3rd World War! And no matter how late I sleep at night, I always wake up before 5am every morning and no matter how hard I try, I can never go back to sleep. Some people say its a good thing, but I don't think so. 8. I have never left the shores of my country, Nigeria. 9. My idea of the end of the world is the day there's no more internet. Seriously, I can't imagine my life without the Internet. I spend about 12 hours everyday on my phone/laptop. 10. I'm my own biggest critic. I tell myself things I don't like about me and I always find ways to make myself better. 11. I can be super blunt. I have no problems expressing how I feel. But don't take my words to heart cos I mean them in the nicest way possible. 13. I write a whole lot! I have different books and note pads where I scribble down anything and everything. I write down products I think I need, Fashion items I need in my closet, Things to do etc. 14. I'm the fastest 'dresser' I know. I can take a shower, get dressed and do my hair n make up all in 30 minutes. 15. I hope to become a motivational/inspirational speaker someday. 16. I'm very strong-willed (I refuse to say that I'm stubborn). 18. I'm really emotional. I cry whenever I watch sad movies. P.s. I will never watch Titanic. 19. I'm an introvert extrovert. Doesn't sound right, does it? Well, that's me. I can spend days even weeks cooped up in my room doing God knows what. But I have an active Social Media life, eg. I've got you, my Blogger friends, Instagram friends, the weirdest people on Twitter etc. So I'm always smiling at my phone. 20. I'm an organiser. I love having my things in a particular order. I turn off light bulbs in rooms that are too bright or not occupied by anyone, I move tables n chairs to the way I think they should be etc. Like always, I'm a 'lastma' and everyone I know has done this tag. So I tag YOU! Tell me a few random things about you. Nice blog you got here, Portia, the skyy is not your limit. Aww, sorry about that one way thing. I'm sure it must have been terrible! I don't know how to swim either even though I spent most of my childhood in a pool, I just couldn't get it but I won't give up trying just yet. I'm an organiser too, I've got journals and jotters that go back 7 years ago when I was still in primary school, even thinking of starting a diary again... Yeeeaaah, another BBT fan, my baby is Raj tho. I laughed all through like seriously, Porsh and I have a lot of things in common. 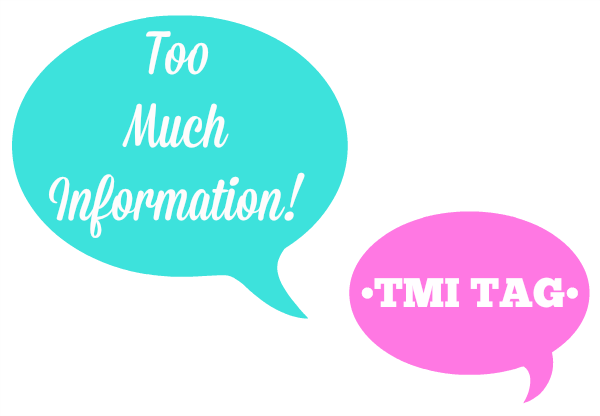 TMI tag brings readers closer to the blogger. I really should do mine. This is a lovely way to get to know you more, Porsh. We have some things in common like I can't swim, I write a lot too and I always want new shoes, but I only organise when I'm as mad as a hatter, lol. I drink, and I'm an introvert or ambivert, but I prefer human contact to social media. Kai doh whenever the shout one chance I don't enter oh. Take heart. I don't swim too I just lounge around in my bikini, I am a really picky eater. That's unfortunate girl, glad you got over it. I can swim either and I rarely go to the pool and I love shoes too. Lovely personlity + u've got a beautiful face...I always admire your face and style whenever I stuck this blog. I v seen Titanic tho. I can cry while watching movies o. Indian movies turns me into rain!. Even "Olympus has Fallen" made me cry, you can imagine! I can dress up real quick. But i am not organized. Not at all. Dts why i have sworn never to have a room mate. Coz i can leave my towel in the Kitchen, I don't care. I love coming back from work and seeing my things where i left them!. I used to write a lot but i stopped, i dunno why tho. I don't smoke and i hardly drink alcohol. I always embarrass my friends when i order for HiMalt during an outing. Like i care... lol. I can't even swim... Not at all. I don't even go to pools at all. Derz z just something bout pools that irk me. I would rather hole up in ma room and watch movies or read novels than go on a date! lol. I love babies! Oh lord. I practically own my Madam's baby! I am my biggest critic too. And i can be very blunt coz i don't know how to pretend. My friends love that about me coz i will be the only person to tell you you messed up when you do. Ummmmmmm. I can be lazy with house chores, i hardly cook. I just love seeing my sparkling new pots as they are all the tym.. Sorry about your cab incident, glad you are ok.
We have Nos.1, 6,7,10,11, 16, 17 and 20 in common...lol I'm a bit obsessed with perfection. I love to buy new shoes too and i can't do without my internet/laptop/phone too. Very lovely and interesting facts about you. Glad to know you feel better too. You are very beautiful. E ya sorry about those useless one chance people, it would never be well with them. Please be very careful and may God protect u. Read your post and it's nice to read about you. I love the extrovert /introvert part, i'm like that too lol.